Ask for tours at the gift shop. Lunch served second Wednesday of month. All welcome - just show up. Contact Wayne Wallace for info. Local island rock bands perform. Plant Sale. Open house. Museum and barn tours. Kid's activities. Salmon and Rib Dinners with dessert ($16). The FREE 'Anderson Island Assistant' phone app gives you instant access to a wealth of time-sensitive, up-to-the-minute Anderson Island Information: the current ferry schedule, ferry web cams, current ferry location, current tides, weather, coming events, burn-ban status and Tanner outage status. Click here to see the app on your web browser. Andriod phone users: Install from the Google Play Store. iPhone/iPad users: >Install from the Apple App Store. 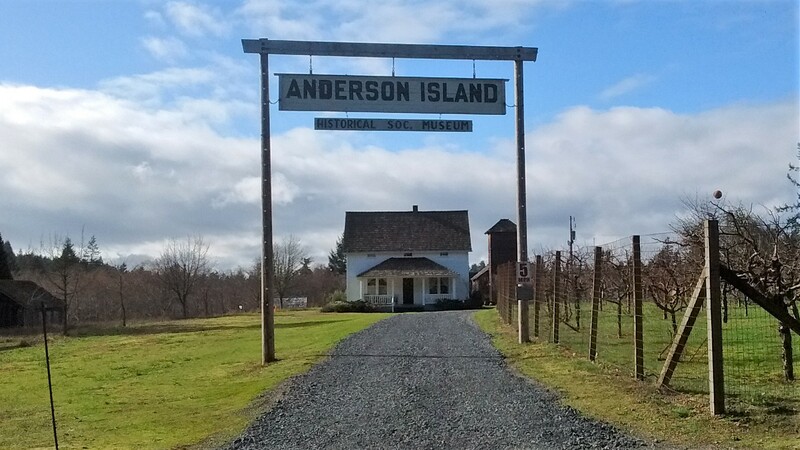 PC/tablet/Window's Phone users:Set your web browser to "http://www.anderson-island.org".